Illuminate drops a 2-for-1 music video for both of his recent singles No Offense and People’s Anthem. Watch it above. No Offense features Joey Vantes & K. Agee, and People’s Anthem features Jay Cabassa. 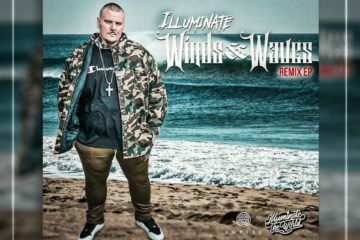 Both songs are off Illuminate’s new album Winds & Waves out sometime this summer. His new Thang or Two single drops May 15th.